Cobroxin Review – Is This Product Safe To Use? 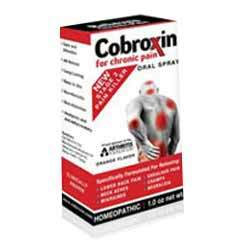 The Cobroxin brand is a product designed to help relieve pain that is moderate to severe. This includes migraines, lower back pain, neuralgia and arthritis. Information about the product, made by the Nutra Pharma Corporation, can be found on the official website which is easy to navigate and reasonably informative. Although there are limited company contact details, they do provide background information on the history of Cobroxin, which is based on ancient Chinese medicine. Customer testimonials are provided and there is an excellent FAQ section. Cobroxin is available to order directly from the website but there is no indication how secure and private the process is and no mention of a returns policy or money back guarantee. What are the Ingredients Used in Cobroxin? Cobroxin is available in two formulas – an oral spray and topical gel. The gel is fast acting and massaged into painful areas 3-4 times a day, whereas the orange-flavored spray has more of a cumulative effect. Taken at a dose of 2 sprays 3-4 times daily, the user experiences a gradual build-up of pain relief. Cobroxin is reasonably priced at a cost of $18.99 for the spray and $19.95 for the topical gel. What are the Pros of Cobroxin? What are the Cons of Cobroxin? Although Cobroxin appears to be a good brand for treating a wide range of painful conditions, the idea of using a product containing snake venom may be off-putting for some consumers, more used to traditional pain-relieving ingredients. Most people would likely prefer to stick with the more tried and tested traditional types of pain relievers.